If you only knew how much work goes into tuning a Jaguar exhaust. The science of cymatics is one that’s not well-known, but it beautifully captures the philosophy that Leonardo Da Vinci first coined and Horacio Pagani later embodied: the theory that science and art must walk together hand in hand, borrowing from one another as they are more closely related than most people think. The science and art of cymatics involves passing sound waves through a loose medium, letting the waves change it and observing the art that takes place as a result. Mediums have to be malleable, such as water or in this case sand-like particles. But what about the sound source? 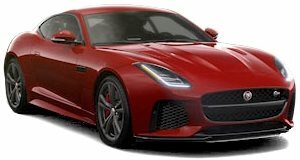 In this video, we’re treated to the vibrations caused by the disruptive Jaguar F-Type SVR. What a treat. Unlike turbocharged vehicles, the F-Type SVR’s exhaust note is unimpeded by turbines. Instead, it has its 5.0-liter V8 engine given more air to turn into sound via a supercharger, good for 575 horsepower and an exhaust note to die for. To see what kind of art the Jag can make using its exhaust, this SVR was placed on a rolling dyno so that it could rev its heart out with out being shot towards the horizon. Surrounding it are plates layered with particles, the medium that will reflect the SVR’s Titanium Active Sports Exhaust. Watch how the particle patterns change with each gearshift. We always knew Jaguar designers had PhDs in beauty, but this is outrageous. Check out how Jaguar pulled off this masterpiece and learn about the art/science of cymatics here.